One of the questions raised by many people who own or want to build their own computer is how a CPU works. In order to understand this, one has to learn the basics of what the CPU is and how it functions. First things first, the CPU can be found on the motherboard where it is centrally positioned. The CPU is the one that carries the largest work in your computer since data passes through it continually. As part of learning how a CPU chip works, it is essential to note that data comes from RAN and units such as drives and keyboard. Once the data gets processed, it is then sent to the units and RAM. 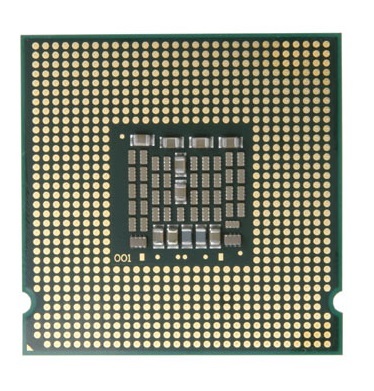 The CPU is responsible for receiving instructions continually and executing them. All the instructions are data processed orders and there is a lot of data transport and calculations involved. In order to ensure that you understand how a CPU chip works, we have broken down the execution of instructions and this is carried out as follows. The memory sends instructions to control units. Control unit deciphers the meaning of the instruction and proceeds to move the desired data from the computers memory to a logic arithmetic unit. The operation results get stored in the register or memory. As you get to learn more about how a CPU chip works, it is also important for you to understand that the operations can be broken into two and these include instruction time and execution time. An address is used to identify each piece of data and instruction as well as the location of memory. In this case, the address is compared to a mailbox. It is not complex to understand the process of how a CPU chip works as long as the information is broken down in a manner that is easy for you to understand.